In the summer of 2015, Drew French, the founder of Your Pie, took advantage of the sweetest offering in his home state of Georgia to create a brand new flavor combination for his rotating seasonal menu. 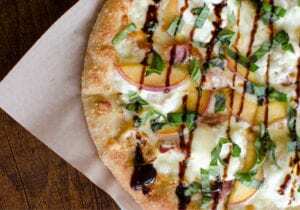 By combining the sweet taste of peaches with the salty taste of prosciutto, French concocted what has since become the brand’s all-time fan-favorite pizza: the Peach Prosciutto Pie. The flavor combination was so revolutionary that it earned French a spot on the U.S. Pizza Team, where he competed at the 2016 World Pizza Championship in Italy. Now, the Peach Prosciutto Pie is making its triumphant return, available for a limited time until August 29th. The Peach Prosciutto Pie combines a host of popular summertime flavors into one delicious pie. Fresh olive oil and ricotta cheese are spread onto the brand’s hand-tossed dough, then covered with both mozzarella and Parmesan cheeses. The savory flavors are then topped with thinly sliced prosciutto, fresh peaches and chopped basil. Finally, the pizza is drizzled with a house-made Honey Balsamic Glaze. Because every savory meal needs a sweet ending, Your Pie will also be featuring a decadent Strawberry Balsamic Gelato, taking the popular Italian combination of fresh strawberries and balsamic to the next level. Your Pie is building on these Italian roots and steering in a different direction from the usual craft beer pairing that launches with each Craft Series. 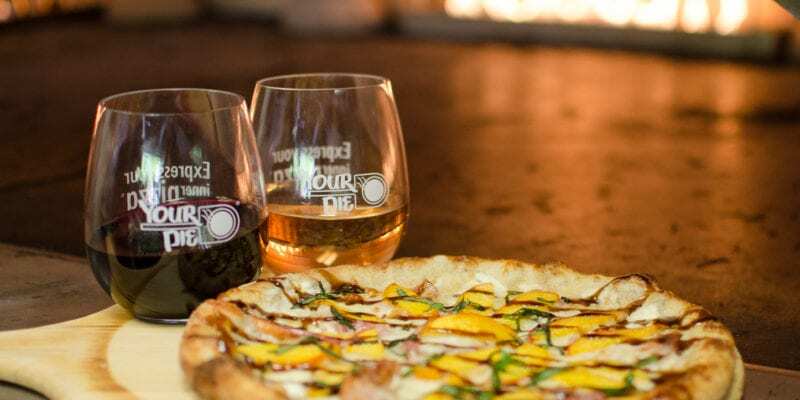 Instead, the brand is highlighting the light and airy taste of Sauvignon Blanc with the Peach Prosciutto Pie, bringing a spotlight to each location’s wine offerings. The Craft Pie Series has been a seasonal feature of the Your Pie menu since French opened the first fast-casual pizza concept in 2008, and since then, has resulted in popular creations like the Pear Gorgonzola Pizza, a health-inspired pie featuring fresh flavors; the Chicken and Waffle Pie, which boasts down-home Southern flavors; and, the Pitmaster Pizza, featuring smoky flavors with a barbecue twist. With this year’s re-introduction of the Peach Prosciutto Pie, the brand also announced a partnership with ‘Smart Lunch, Smart Kid,’ which will provide a meal to a kid for every $2.50 that is donated from Your Pie. The Georgia Peach Council has also volunteered its support by donating a fresh peach to the ‘Smart Lunch, Smart Kid’ program for every Peach Prosciutto pizza sold. The foundation will also donate a fresh peach to SLSK for every paper peach sold in store.